There's just one week left of the fantasy extravaganza and today's author is actually in the middle of a trilogy right now. 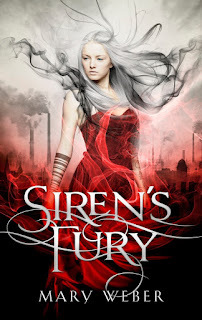 MARY WEBER has a pretty cool concept for her books and her covers are super rocking so stick around to check out the interview I did with her below! Once Upon A Teen Reader: Nym is a female Elemental, something that should not exist in her world, and she has the ability to control lightning and storms. Is there a reason you gave her this specific power as opposed to something else? OUATR: If you were born in Nym's world and turned out to be an Elemental, what power do you think you would have and why? OUATR: The world you created for this series is entirely your own but did you have any real-life inspiration for the geography? MW: Ack! I’ve never been asked this question before! And yes, most definitely. I live in California a few hours from the desert and a few minutes from the Pacific Ocean, the latter of which is where the majority of all three books were plotted – thanks to night walks on the pier with my husband or sitting in a pub with my sister watching the fog roll in over the green hills. OUATR: In SIREN'S FURY we move to another kingdom in the world you created and it seems to have more of a steampunk element to it, why did you decide to go that way for just that singular kingdom? MW: Okay, so I’m not going to lie – I’m a little obsessed with steampunk. :0) The style and era and scientific ideas involved therein – it’s fascinating stuff! I’m also incredibly drawn to different cultures and artisans and the things they contribute to their societies. As well, my husband’s engineering family has taught me to see the unique ingenuity behind various structures and inventions depending on where in the world they’re located. So when it came to creating kingdoms of people with different powers and talents, I saw the Faelenians as more nature-embracing, the Cashlins as feelings/intuition-oriented, the Tullans as earthy-craftsmen, and the Bron as a people admiring mental and strategic / industrial prowess. Thus their focus, lifestyle, and creations would all reflect that – albeit I have it rather exaggerated in the book, yes. But when I look around at the vast differences between first world countries’ industrial systems and those of many third world nations, it didn’t seem that far-fetched to me. OUATR: In fantasy novels a large part of the story is usually good vs evil but you also play with the idea of personal morals and how far you can go before you lose yourself. Why do you think it's so important to include that in a story like this? OUATR: It seems you like to play with the idea of something being both a curse and a gift, do you believe that things can, in fact, be both at the same time or do you think it's more just how you look at something? OUATR: Next March the series will be coming to an end and (hopefully) all of our questions will be answered, can you give us a hint as to what we might expect to find inside book three? MW: *laughs* I hope they’re answered too!! ;0) Hmm okay, let’s see… We will visit the kingdom of Cashlin (cuz Luminescents! ), learn more about Nym’s birth and childhood (shh! ), and find out which characters die and which ones get traumatized by the big bad horror Draewulf has created. Ahem. 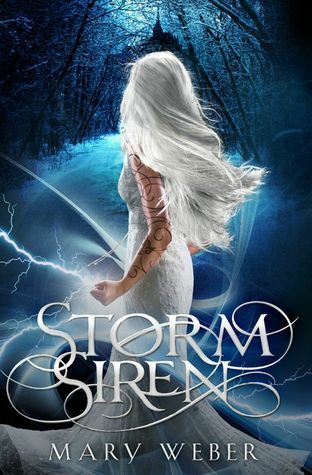 RIGHT NOW THE E-BOOK OF SIREN STORM IS ONLY $1.99! Mary Weber is a ridiculously uncoordinated girl plotting to take over make-believe worlds through books, handstands, and imaginary throwing knives. In her spare time, she feeds unicorns, sings 80’s hairband songs to her three muggle children, and ogles her husband who looks strikingly like Wolverine. 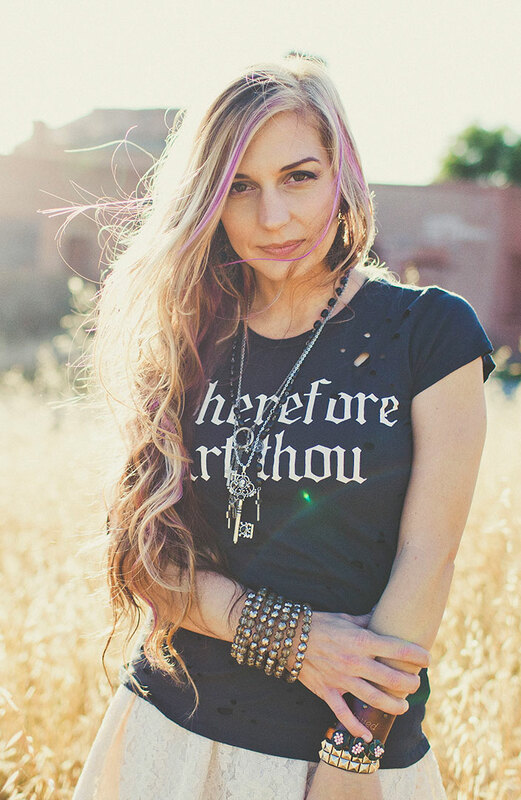 They live in California, which is perfect for stalking L.A. bands, Joss Whedon, and the ocean. Mary has generously offered up a pair of her books (or just one if that's what you want) as part of the fantastic giveaway! Make sure you enter the giveaway below and give her a HUGE thank you! I live a couple hours from an ocean, though sadly, I don't go there as much as I would like to. Goodness, the last book is already coming out in March?! I need to catch up starting now. This is a book I've been interested in but haven't gotten around to reading it yet. Thanks for the interview! Damn, I'll have to add this to my reading list! Wow! This book sounds so interesting! I'm really excited to read this now! I enjoyed Siren's Fury and can't wait to find out what happens to poor Nym next. I can definitely see where the California inspiration comes into the book. This series (and the author) sound AWESOME! Thank you for the interview. I will definitely be adding these books to my wishlist/to read list.